A wide, evenly-graded, dirt road leads away from the viewer. There is a single early automobile on the road. Both sides of the road are filled in with deciduous and palm trees. In the greenspace, to the left of the road, there several backed benches. Beyond the greenspace, to the left of the road, there is a sidewalk that is lined with white, wooden framed houses. 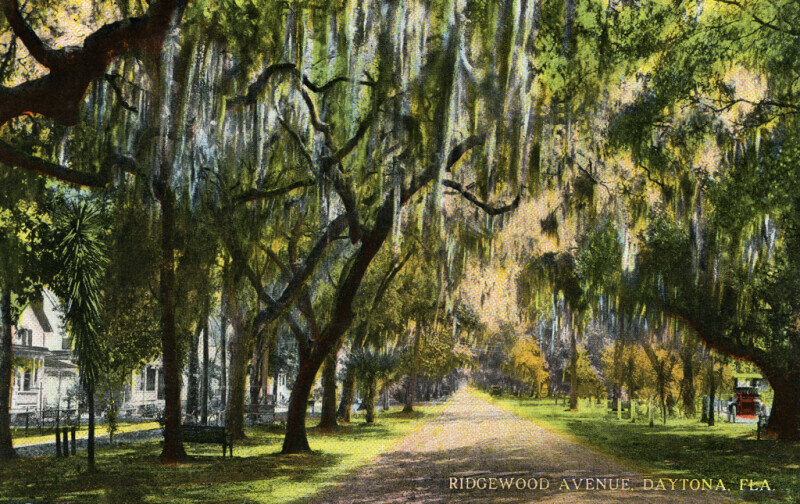 To the right of the road, a single early automobile is parked in the green space, under the trees.